A small to medium sized oval saucer in dark grey sinamay. 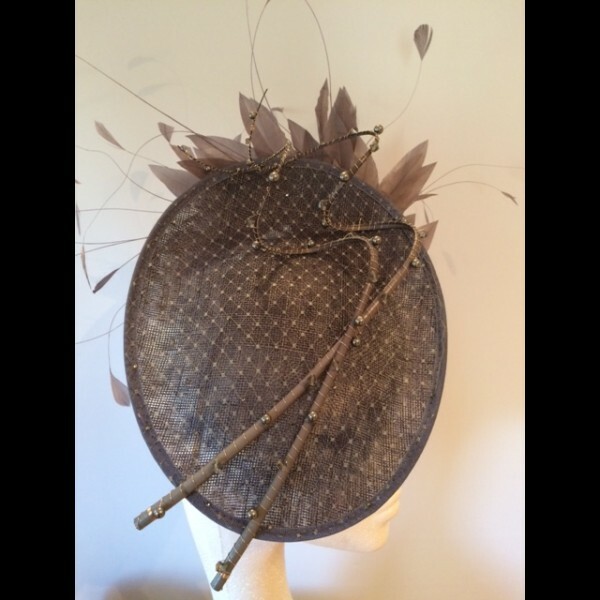 A soft cloud of veiling with curled quills on the upper side. 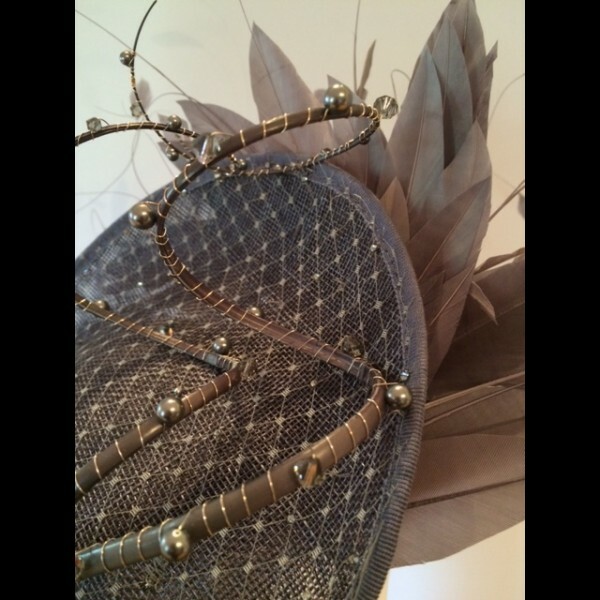 A popular and very easy to wear oval saucer headpiece in Dark Grey sinamay. 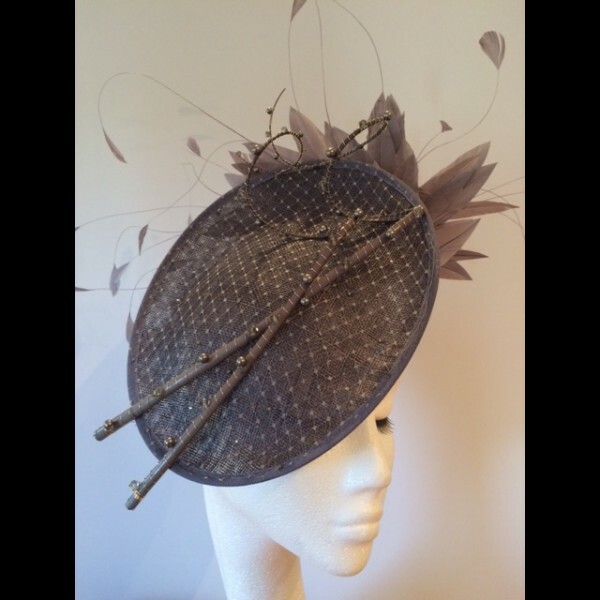 The upper side has veiling across the top, dotted with Swarovski crystals. 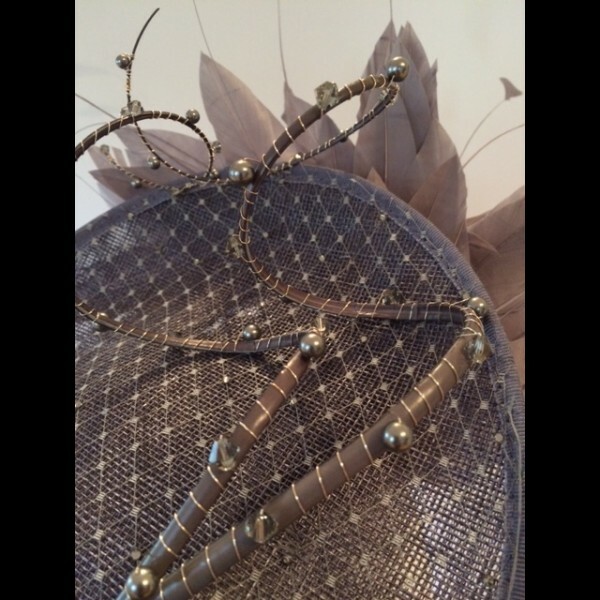 Three handcurled quills are intricately wire wrapped with Swarovski beads and pearls.